Hey guys! Hope you all had a lovely weekend. 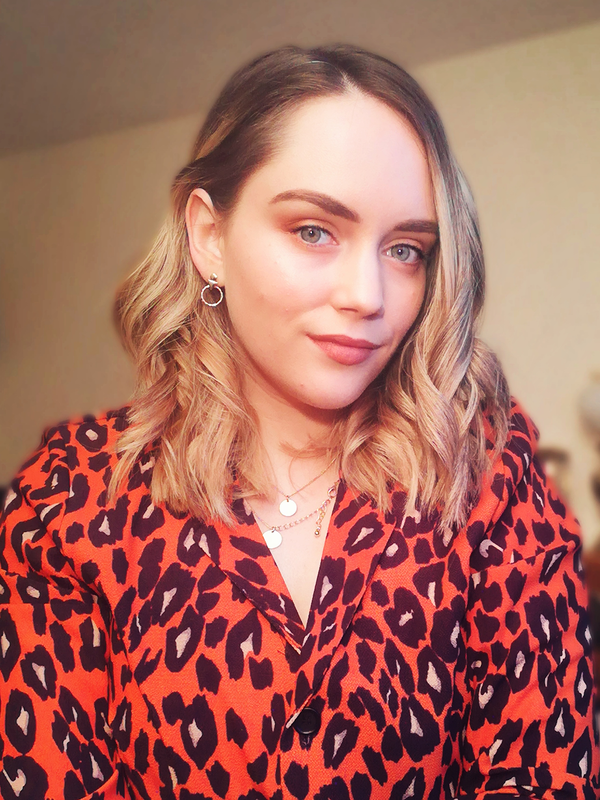 It's been feeling a lot colder over here this weekend, it's really starting to feel like winter rather than Autumn so I thought I would share with you my favourite lipsticks to wear this season! I absolutely love Autumn/winter make-up. When it comes to my lips I much prefer to wear red/berry tones, anything other than pink to be honest so I love to embrace the winter trends. 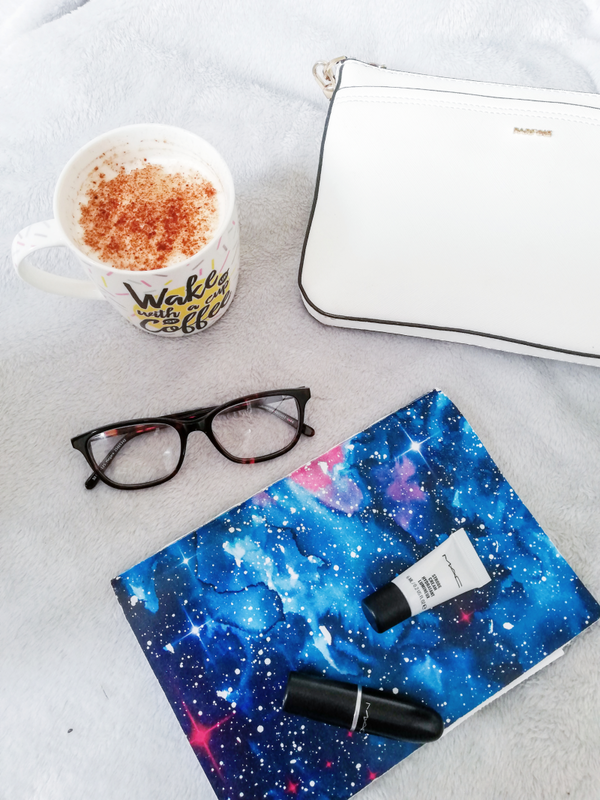 My five favourite winter lipsticks are all drugstore, 3 of which are Rimmel, I just think the Kate for Rimmel lipstick line is ah-mazing, the formula is lovely and creamy and they are very long lasting. The other two are from Revlon and Soap and Glory, both some of my favourite brands and very affordable. 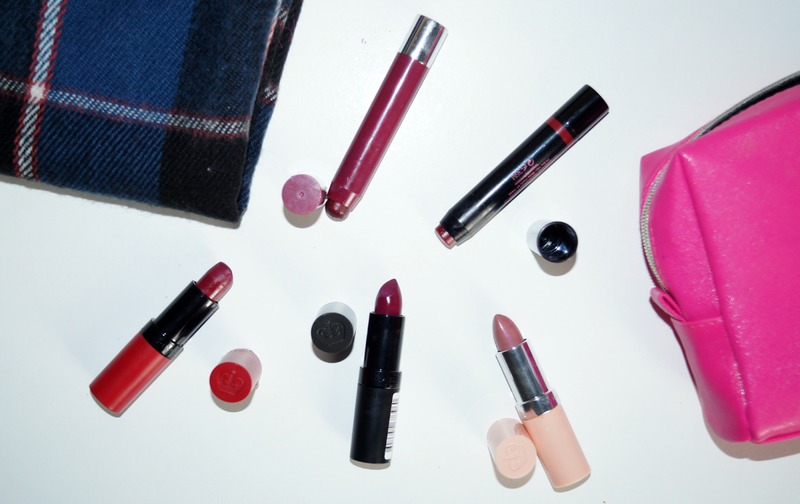 I am sure this lipstick is in many peoples top five winter lipsticks, it's hugely popular! It's such a lovely dark berry red that goes beautifully with pale skin. Also, it's got slight blue undertones that help make my teeth look whiter and I'll take that wherever I can get it! Honestly, I don't wear this lipstick on a day to day basis, I like to save it for a night out when I want to make a bit of a statement. This will be perfect for Christmas parties with a nice cat flick eye. It's available in Boots for €6.99. This is the latest addition to my lipstick collection and I am in love already. I've been wearing it non stop since I got it. It's such a gorgeous deep berry colour, it looks quite similar to 107 here in the swatches but it's very different in person, it's a lot more plum/purple toned which I loooove. It looks kinda scary in the bullet but I find this to be a really wearable shade. This is the epitome of a winter lipstick to me. This is also available in Boots for €6.99. I really like this range because I find the formula really nice and comfortable on the lips whist very pigmented and long wearing as it leaves a stain on the lips (as the name would suggest). This is a little similar in tone to Rimmel '30' but it's more shiny/glittery and doesn't have any red undertones, definitely more purply and not too dark on the lips at all. You can pick this up in Boots for €10.99. Oh golly I just love these lipsticks from Soap and Glory. I adore the formula of these, I don't really know anything else like them. They are SO creamy and moisturising and just beautiful. They leave the lips looking so glossy and plump and they are very pigmented. 'Plum Jam' is a lovely burgandy red. If you want to wear a darkish red but are too scared to go for something very bold I would highly recommend this because it's not too dark, is buildable and I feel like it would suit every skin tone. You can find it in Boots for €11. 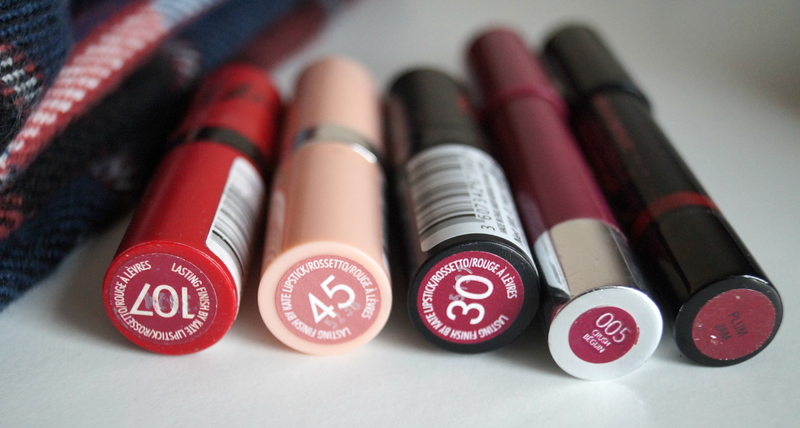 There we have it, my 5 favourite winter lipsticks! Let me know in the comments what your absolute go-to lipstick is for this season, I would love to know! 107! Oh my word love that lipstick! In fact I love all the Kate Moss lipsticks I now have three different shades haha. But 107 is the best!